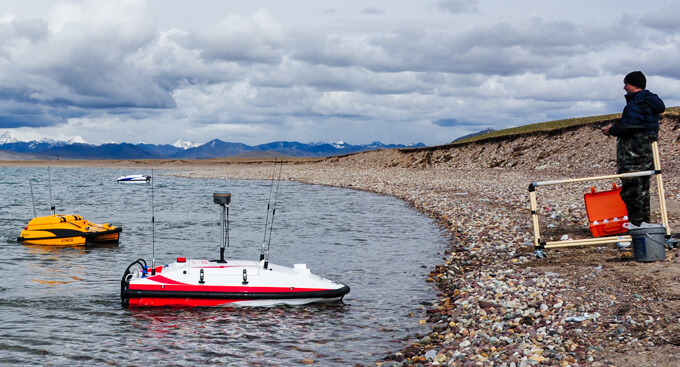 On October 11, 2018, a six-person expedition team consisting of surveyors from OceanAlpha, the Qinghai-Tibet Plateau Institute of the Chinese Academy of Sciences and the University of Zurich, Switzerland made their way to Tibet with an OceanAlpha SL20 unmanned boat to measure three plateau glacial lakes which had never been systematically surveyed before. 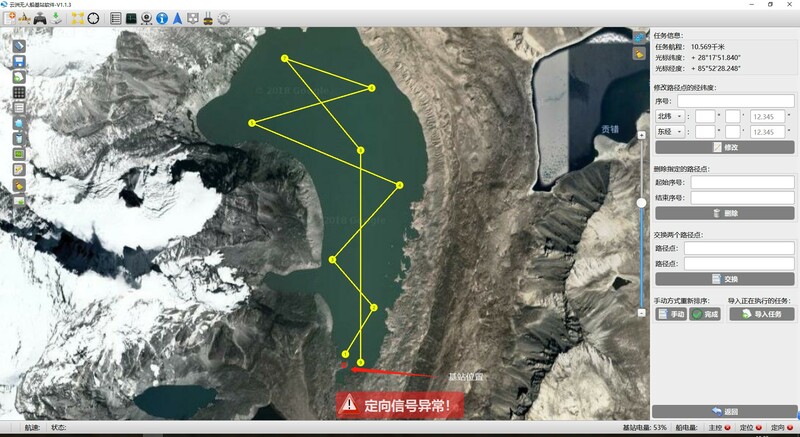 The objective of this expedition was to measure the depth of the three lakes, including Qihu lake, Jialong Cuo lake, and Galong Cuo lake, so as to calculate the storage capacity, and finally assess the hazard level of these lakes. 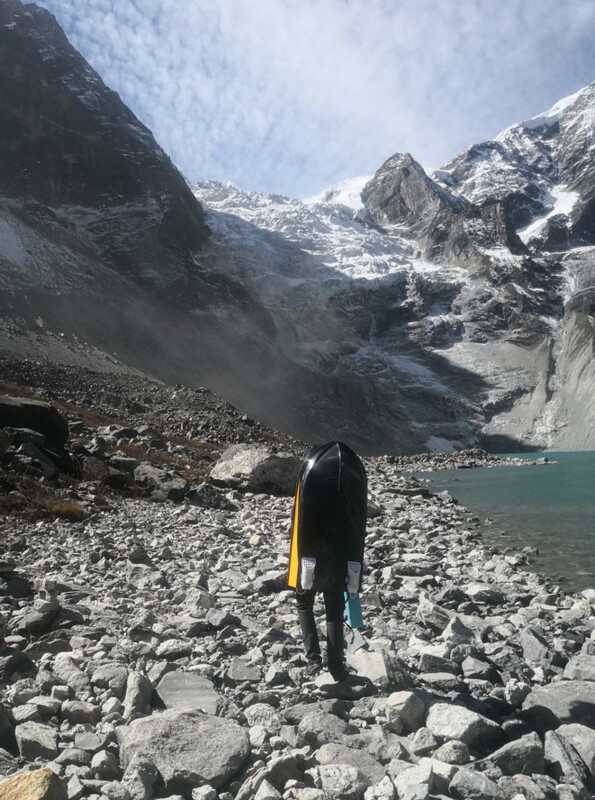 During the expedition, the average altitude is 4,500 meters, the daytime temperature is about 7 degrees, and the night temperature is about -10 degrees. 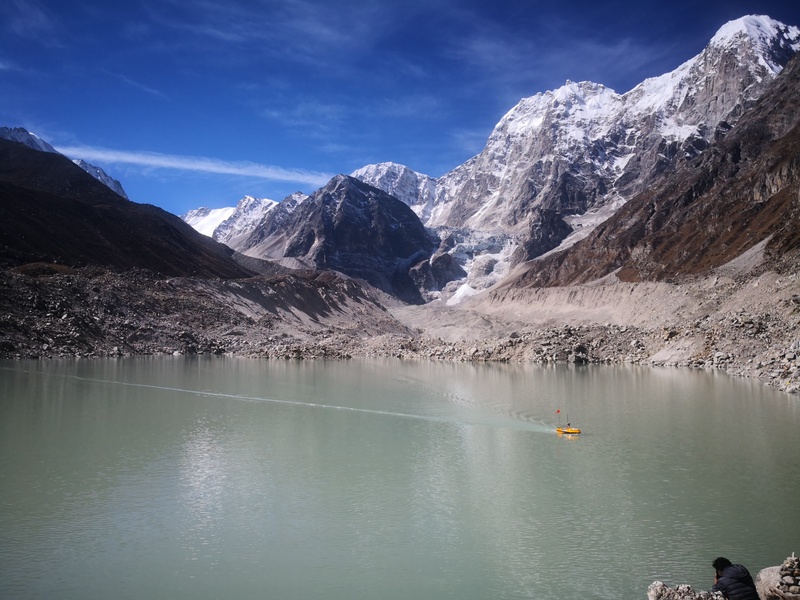 In such a harsh environment, the expedition team needs to overcome many difficulties to complete this unprecedented task. 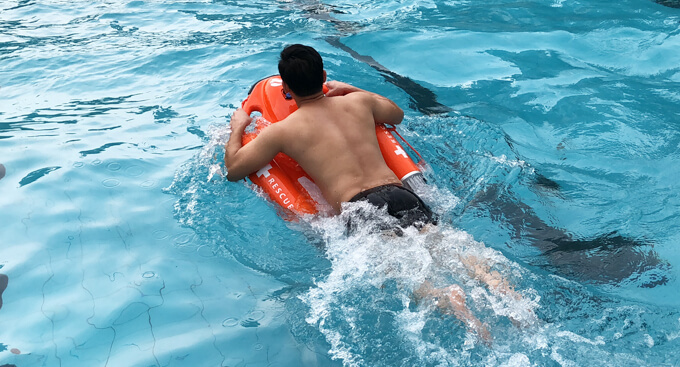 Huang Cheng, the engineer from OceanAlpha recalled that due to the high altitude, large temperature difference, and heavy workload, the survey task has been a huge challenge to the physical strength of all members. 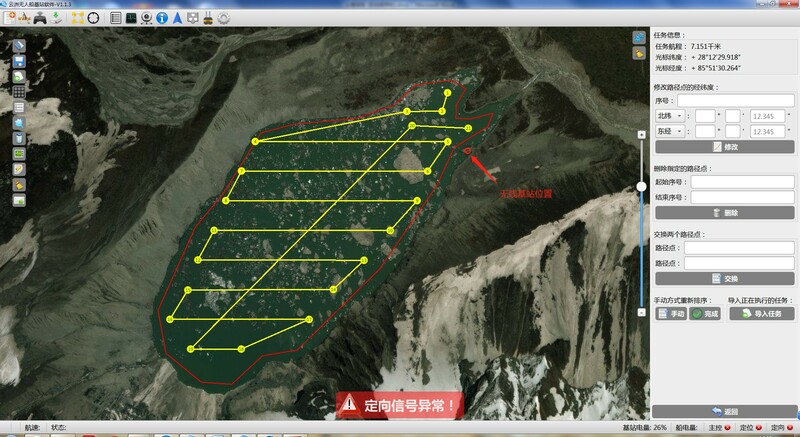 In addition, the icy lakes are far from the town, so transportation can only rely on manpower and horses. 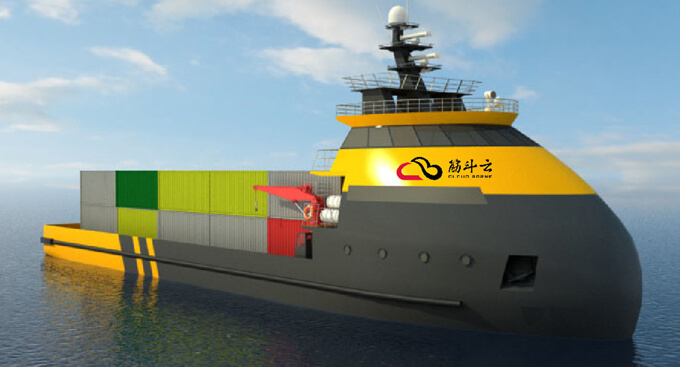 Since the power generation equipment is too heavy to carry, the team must use the limited battery resources to complete all the tasks, which requires strong pre-planning capabilities and predictability. 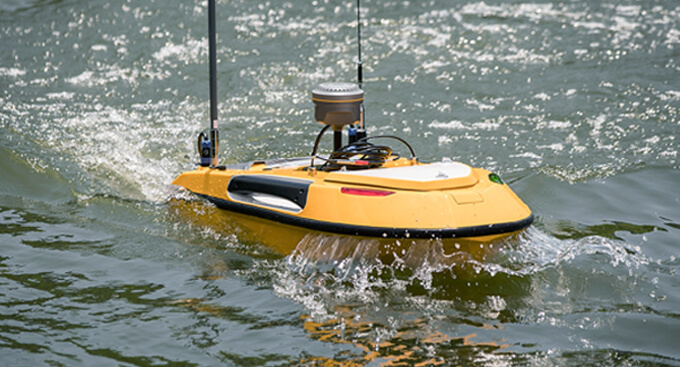 The expedition team first carried out the bathymetry mapping on the Qihu lake. 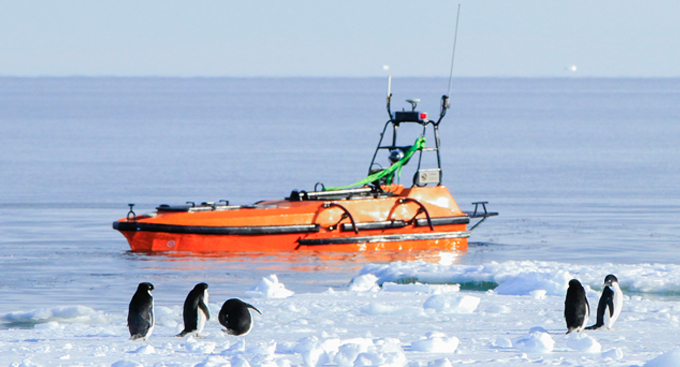 At 7400 meters above sea level, the expedition team set the base station antenna to 6 meters high to send instructions to the unmanned ship and receive data feedback. 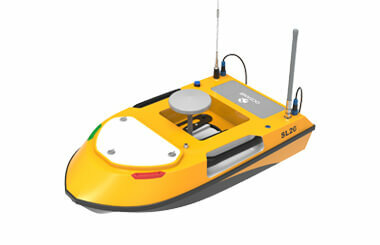 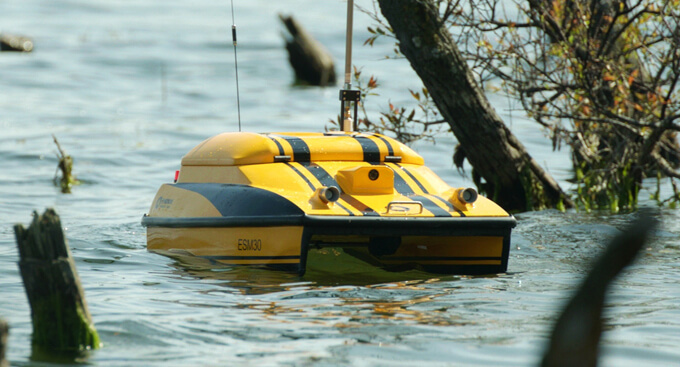 The team conducted an autonomous survey of 0.02 square kilometers to the lake with the unmanned boat. 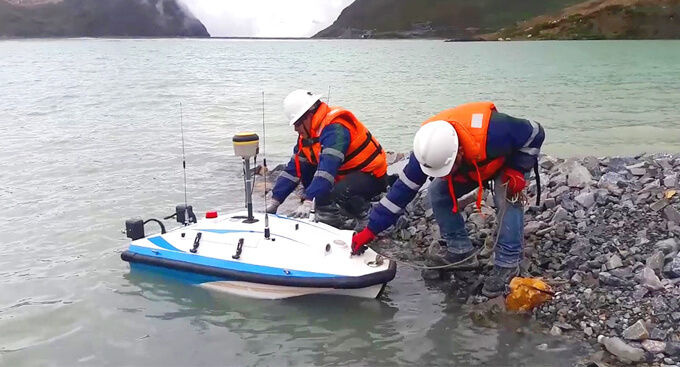 In the next two days, 0.5 km2 of auto-survey was carried out on Jialong Cuo lake, which is located at an altitude of 4,300 meters, and 5 square kilometers of auto-survey to the Galong Cuo lake at the altitude of 5,070 meters. 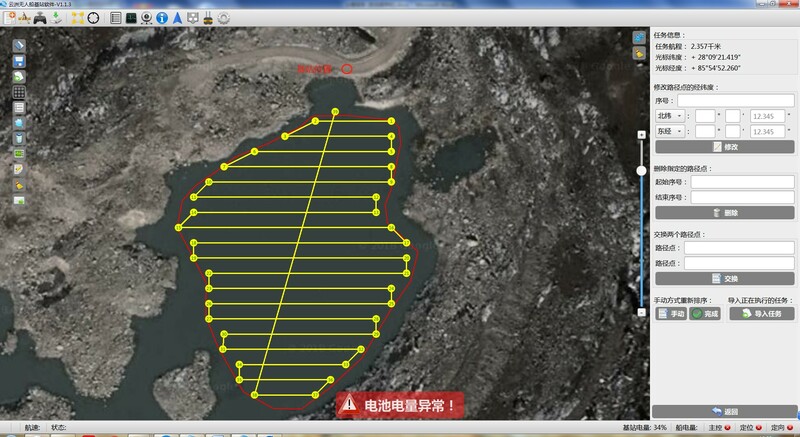 In the process of surveying and mapping, the lakes are quite windy in the afternoon, and the hardness of the ice on the lake was unknown. 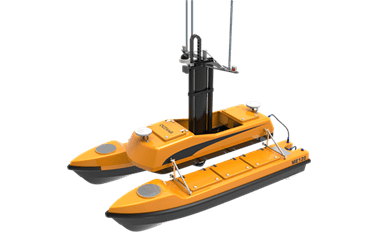 There’s a large chance of an accident occurring if the team use the traditional survey model in which the surveyors have to work on the ice and get on the rubber boat to collect data. 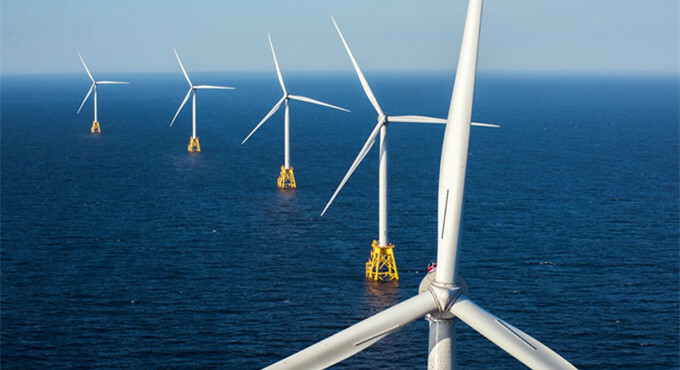 What’s worse, the surveyors are facing enormous lift risk if they accidentally fall into the icy water where the low temperatures could cause. 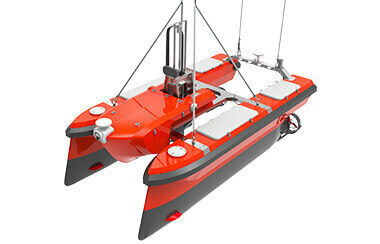 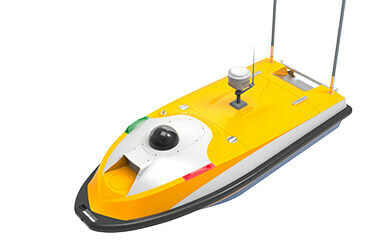 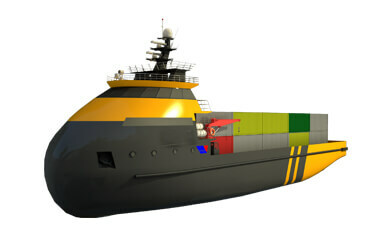 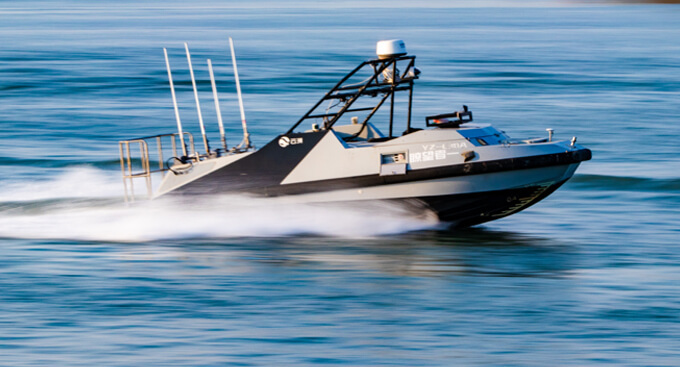 “In this survey mission, the advantage of the unmanned boat in prominent. 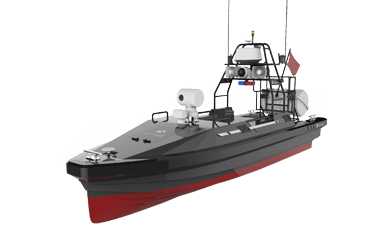 The unmanned boat is very flexible in transportation for it’s small and light enough to be transported by horse or manpower. 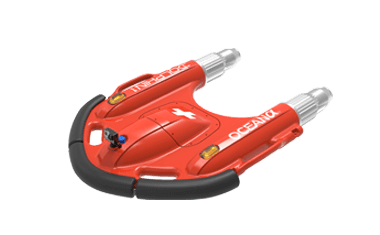 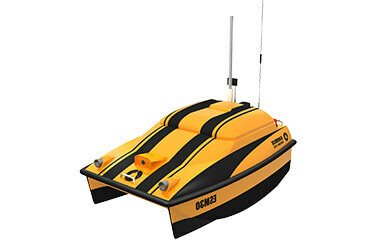 The unmanned boat can work continuously, reducing the time for surveyors to stay outdoors and reducing the intensity of work. 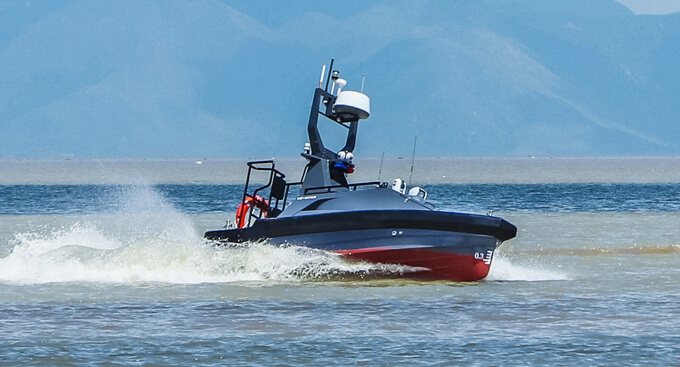 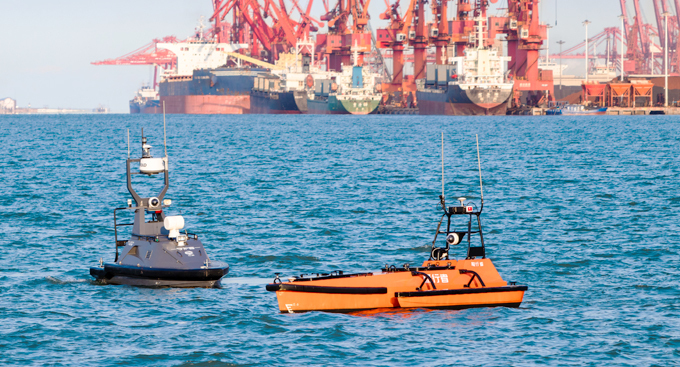 By remotely controlling the unmanned boat through the base station on the bank, the surveyors can enjoy a more comfortable working environment and lower their risk of getting into dangers ” introduce Huang.